The thing you notice most about central and Le Habana Veija (old town) is the noise. Not intrusive, nor deafening; just ever changing and mostly uplifting. Walk down any street at any time of day and be embraced by the audible din of Cuba’s decaying but elegant capital. Household and bar-room music imbues the mix with a constant, throbbing pulse. An open doorway might elicit the shrill of adults arguing, a shopkeeper bartering or a TV blasting. Aging, belching cars and trucks – their mufflers long gone – rumble past. Dogs bark. It’s energetic this noise, not bombastic. 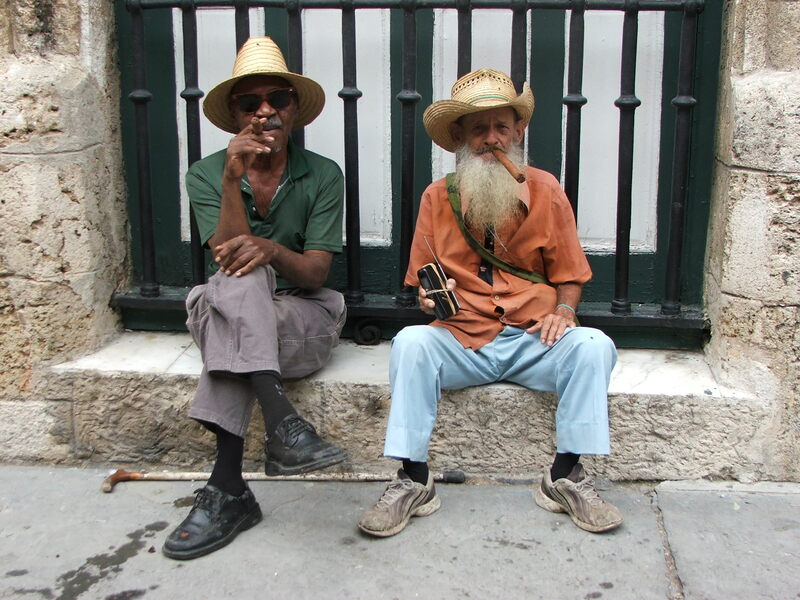 The other thing you soon notice about central Havana is the illegal street hawkers; unlicensed males who volunteer their local knowledge as tourist guides. Aleisai is one such ‘entrepreneur’. By day he’s a plasterer. Judging by the crumbling building facades you’d think he’d be busy. “I work five and one half days a week,” he asserts. The aftermath of Hurricane Wilma has only added to his workload. But it’s his ‘night job’ that generates the greatest income while potentially offering tourists a rare insight into the Cuban psyche. Persistent they are, but pestering they are not. They can’t afford to be caught because fines and possible imprisonment might follow. There is nothing threatening in their method or manner. They are a part of the local culture. How you handle the encounter can go a long way to defining your time in Havana. I often witnessed western couples wave the likes of Aleisai away with fear and disdain. “Where you from?” is usually their first, friendly gesture. Politely declining several ‘advances’ at first, I eventually ventured at a discreet distance (as advised by Aleisai), to a nearby bar, a few blocks off Obispo, one of the main pedestrian thoroughfares linking the spectacular Plaza de Armas and Parque Central. He spoke perfect English. The bar made perfect, albeit expensive, mojitos (US$4). The combination made for an ideal laid back evening discussing anything from the country’s woes to turtle soup. Later, we climbed winding, rickety stairs past sleeping children to a Paladar; an official restaurant run by a family operating straight out of their state-owned home. The menu choices weren’t cheap but the experience; priceless. You don’t come to Cuba for the food. You can come for the cigars. It’s here that the likes of Aleisai earn their pesos flogging the national product on the black market. He escorted us to several ‘resellers’, educating us along the way in what to look for, what to ask, how to taste and what to pay. Even with his cut, the price you pay ‘on the street’ is about half that charged by the official Partegás, or cigar houses. It’s free enterprise at its flourishing best in one of the last Communist bastions. And this is the contradiction that is often Cuba. Opulent, ironic and rotting, often in the same instant. But it’s a seductive mix you wouldn’t want to miss.